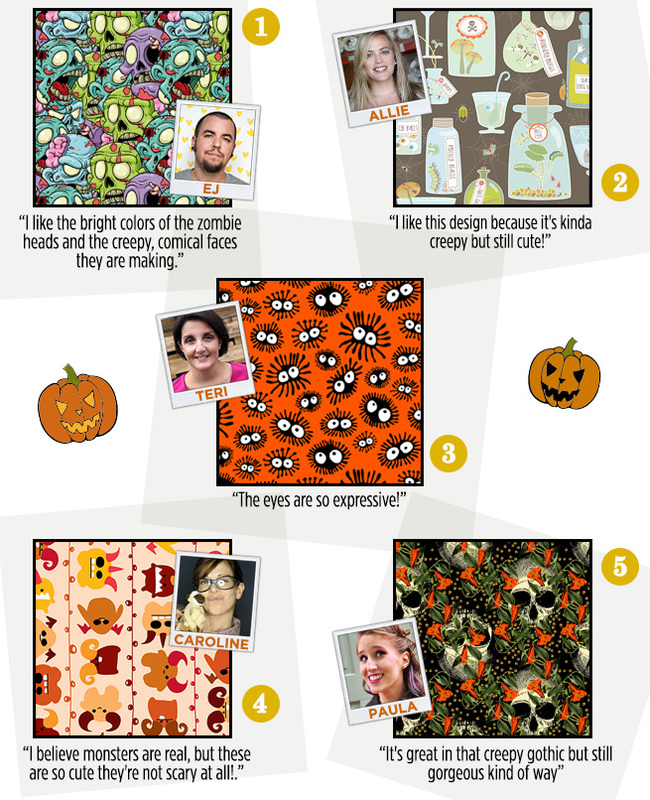 We have Halloween fever! Good thing the Marketplace is overflowing with designs that fit the holiday to the tee. 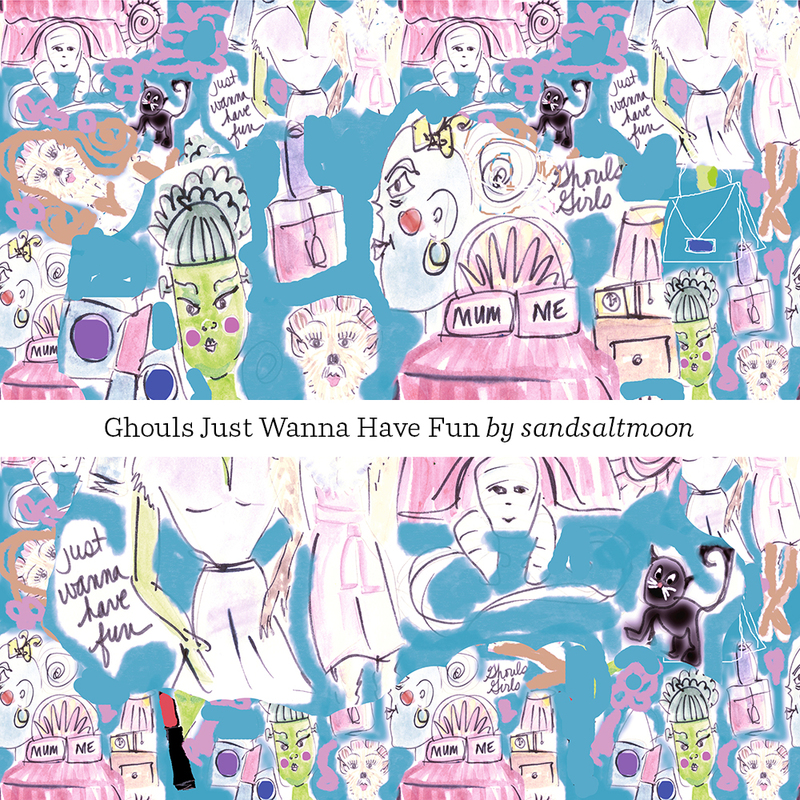 If you’re on the hunt for something creepy, cute, or just downright weird, chances are you can find it on Spoonflower. 1. EJ’s favorite is Large Flesh Pile by Sugarxvice. 2. Allie’s favorite is Creepy Cocktail Hour by Kayajoy. 3. Teri’s favorite is Spidersquish by Caitlinrose. 4. Caroline’s favorite is March Of the Monsters by Leighr 5. Paula’s favorite is Skulls in the Garden by Ophelia.